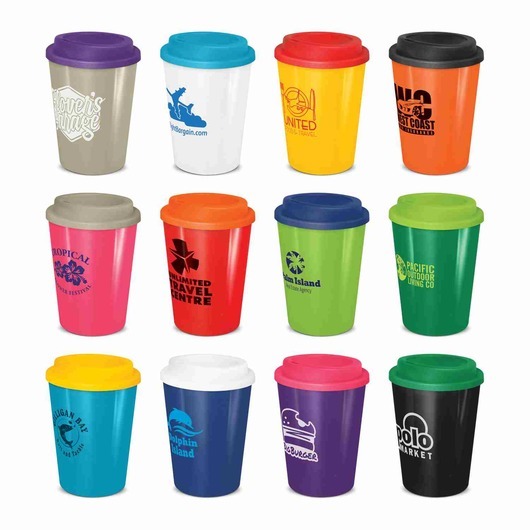 BPA free reusable coffee cups that you can mix and match. 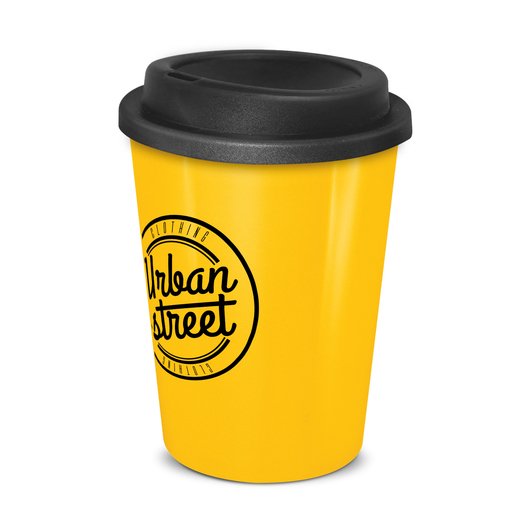 Get the best value for your money with one of these reusable coffee cups. 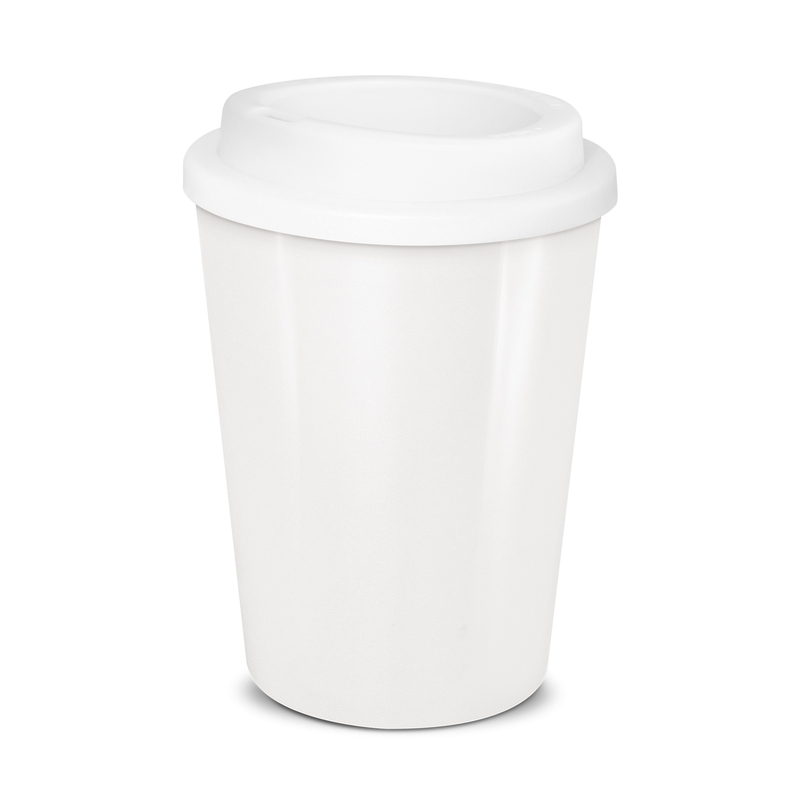 These 350ml double walled cups feature a white inner wall, a secure screw on lid and are manufactured from tough BPA free, food grade polypropylene which is both dishwasher safe and recyclable. 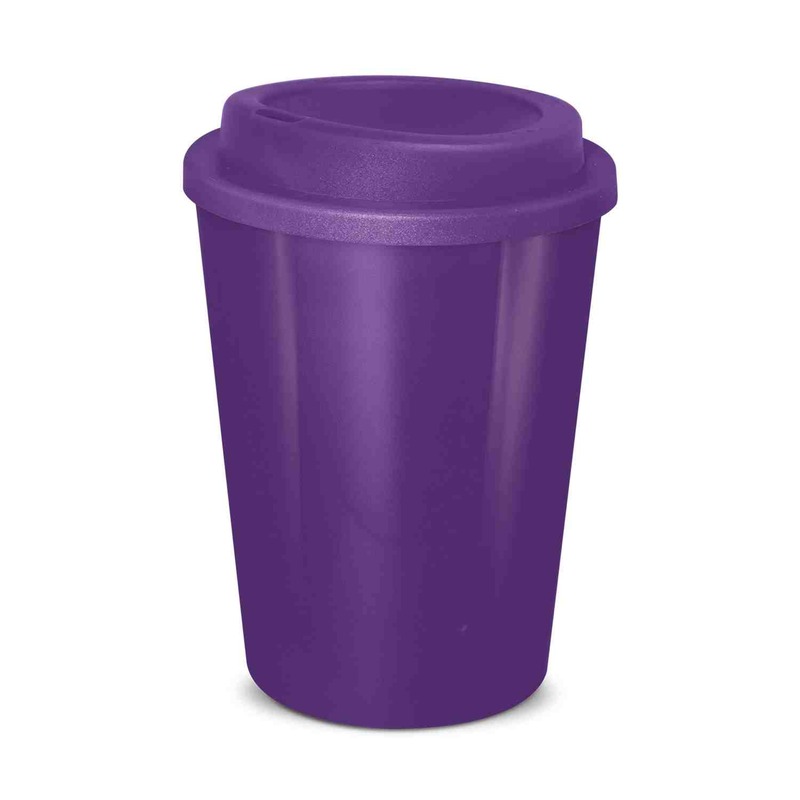 They are designed to keep your drinks hot for longer while keeping the outside cool. Additionally, these bottles come with a choice of 12 outer wall colours and 12 lid colours that you can mix and match upto 144 colour combinations.